At Integra-Clean & Dry, we offer services for basement waterproofing systems, to help you prevent future flooding accidents and help restore walls and floors that have been damaged. You don’t have to live in a damp place that smells like mildew and makes everyone sick in your family, we can help you restore the areas of your home affected and help you get a better lifestyle. 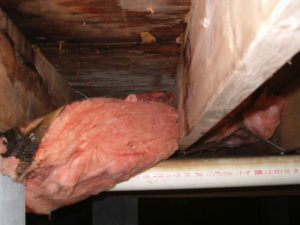 We have remediation specialist that deal with these kinds of situations. We use state of the art equipment to properly remove the water and dry your basement. Then we add basement waterproofing systems to maintain a dry healthy basement environment. 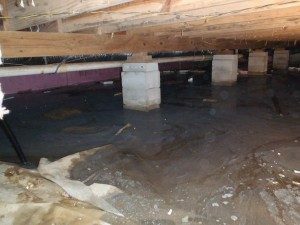 Integra Clean and Dry LLC are crawlspace and basement waterproofing experts – a dealer for one of the largest waterproofing companies in the United States and Canada called, Basement Technologies. Most of the products we use are, patented for Basement Technologies. To control and eliminate the moisture and water coming into your basement we can install a basement waterproofing system, no matter what type of foundation you have. Most of our systems are completely enclosed underground. We can also perform installations in finished basements without removing all of the drywall. We have hundreds of products that can be used for your basement, all you have to do is choose which products you would like. We have an enclosed sump pump system that blends into the ground so well, you don’t even know it’s there. Your Scranton Basement is not doomed to be damp forever! We can fix it for you permanently! We are able to custom tailor a basement drainage system for your home, which matches perfectly to eliminate the moisture, or water entry problems you're having. You won't have to worry about water coming in the floor joints, cracks, bilco doors,or even from hydro-static pressure under ground, ever again! Our systems are able to remedy all of these problems and much more! We also can handle your sump pump installation. Call us and take your first step to a dry, safe, worry free home again! We guarantee it! In price comparisons with other local Scranton companies, we have been told we are usually lower than the highest priced, but not the lowest price. We are very competitive with price and excel in service, product and quality.